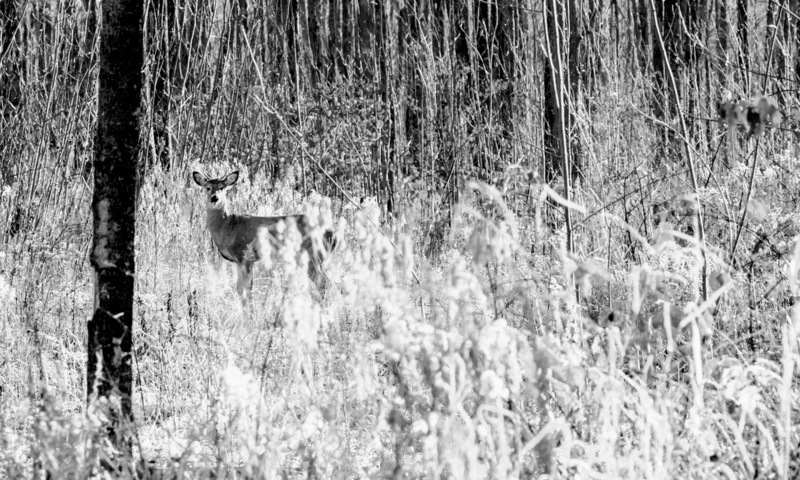 Over-baiting, and a violation of Michigan's antler point restrictions, led an accused hunter to throw his wife under the proverbial bus. She wants deer meat, he claimed. One can only assume a Michigan hunter accused of violating the state’s hunting regulations was the victim of a quarrelsome wife. According to Proverbs, wives of such disposition are like a constant drip. This is no good. And surely, on the heels of this report published by the Cadillac News of Cadillac, Michigan, readers everywhere are likely to find sympathy for a man who’s wife demanded deer meat in what was potentially an angry fit. Unless, of course, the man was lying. The accused hunter first gained the attention of authorities after a tip suggested the hunter was over-baiting in Lake County in Lake Township, Michigan. The same tipster later claimed he saw the hunter shoot a spiked buck. This, if proven true, would violate the country’s antler point restrictions. Restrictions vary based on hunting license type and deer management units. For the unit the accused hunter was hunting, he was required to shoot a deer with 3 or more points on one side, assuming he was hunting with a regular deer license. “'The honest-to-God truth is that my wife wants deer meat and if I come home without any she’ll get really mad at me,' the hunter told Conservation Officer Josiah Killingbeck," according to a report cited by Cadillac News in Cadillac, Michigan. The claim of the angry wife's influence on the crime was made after the hunter denied any wrong doing. But as the Cadillac News reported, the conservation officer wasn’t buying it. There was blood and drag marks leading away from the hunter’s bait pile. Not to mention there was fresh snow, so the evidence wasn’t old. Ultimately, the hunter confessed to shooting the spiked buck knowing it was illegal. The Department of Natural Resources seized the deer, which was hidden behind a house on the hunter’s property.